POPULAR: Getai singer Sherraine Law with fans carrying placards spelling out her name in lights at her performance at a getai event at Sin Ming Lane on Wednesday. She's tipped to be the hottest getai star this year and Sherraine Law is definitely not missing the cue. She has started the Hungry Ghost month with 30 bookings and that looks set to increase. Last year, she had about 80 bookings. Miss Law, 22, explains in English: "I have more hosting gigs this year because of SG50 celebrations." Other than getai, Miss Law also hosts or sings at weddings, corporate events and community centre shows. She attributes her rising popularity to the GeTai Challenge, a TV singing contest for getai performers. The programme aired weekly from May 25 and ended last Monday. She says: "People have a very different impression of getai now. "They tend to see us as more professional. After the Channel 8 variety show, many people have changed their minds about the getai industry." 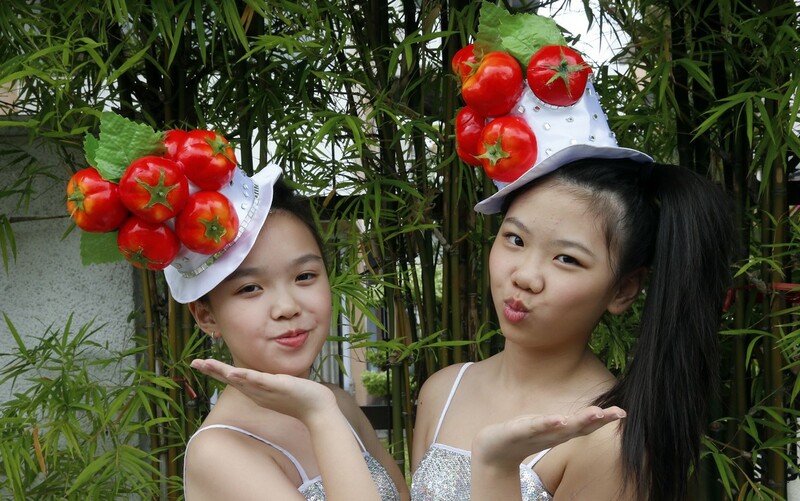 The Ang Mo Kio Sisters, comprising Esther Ng and Charlize Oie, are really just kids. 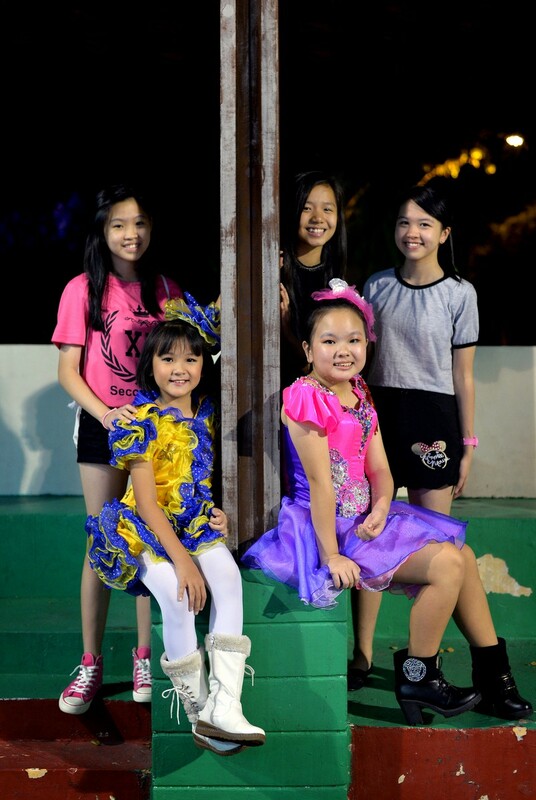 While the 10-year-olds are rookies making their rounds on the getai circuit for the first time this year, they belt out Teochew ditties and bust out simple choreographed moves with ease. At the Shin Min-Wanbao Getai Awards held earlier this month, they snagged the Most Popular Newcomer nod based on votes by the public. Esther, the only child of a housewife mother, 36, and electrician dad, 50, says: "I was really happy and proud to win the award. We may be holding a party to celebrate." Charlize, the older of two children, adds: "Maybe we can go shopping". Having known each other since they were 17-month-old toddlers, they share a chemistry that is palpable. They tease each other, chime in on each other's answers and talk fondly about sleepovers at each other's place and their common love of singing. 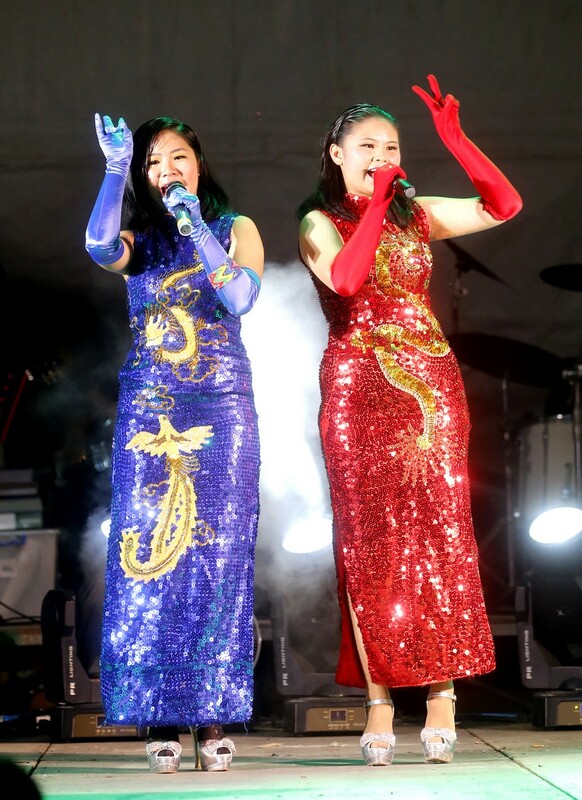 During the 21 shows they performed throughout the Chinese seventh month this year, Esther and Charlize donned ostentatious outfits like all the other getai singers. 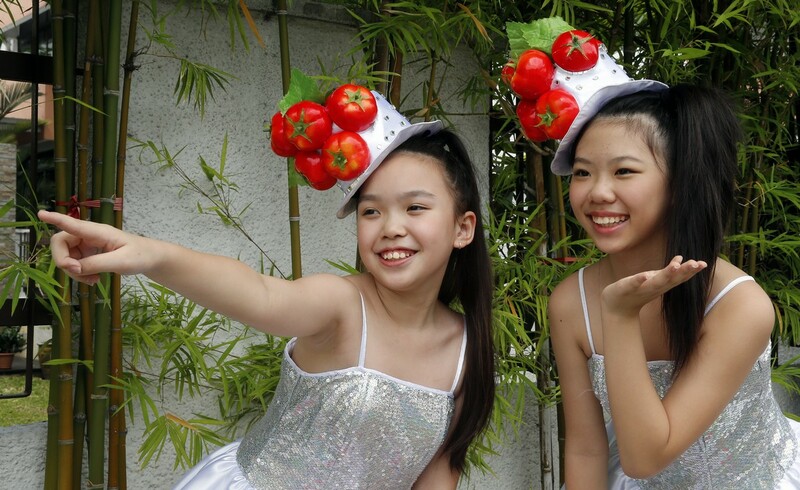 The pals, who are in the school choir, were paired up for getai after Charlize's aunt, Madam Huang Shan Shang, sounded out Esther's mother about the idea. 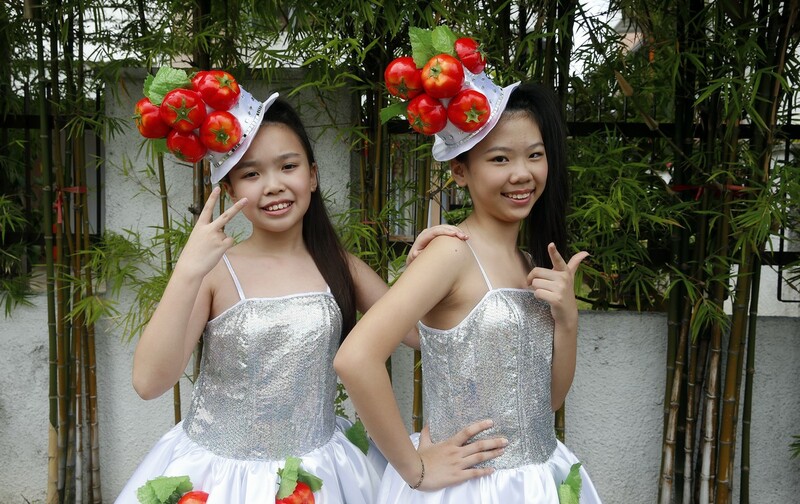 Their vocal teacher Goh Moh Chuan, 63, taught them to sing Teochew melodies as "audiences will notice them because not many getai singers perform Teochew songs". 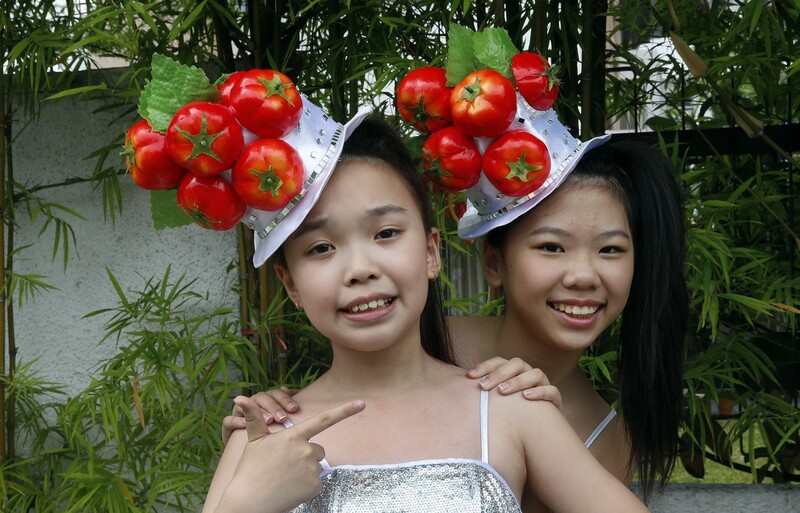 Toh Xin Hui, nine, might have been making her debut getai performance this Hungry Ghost Month, but she hardly looked out of place. 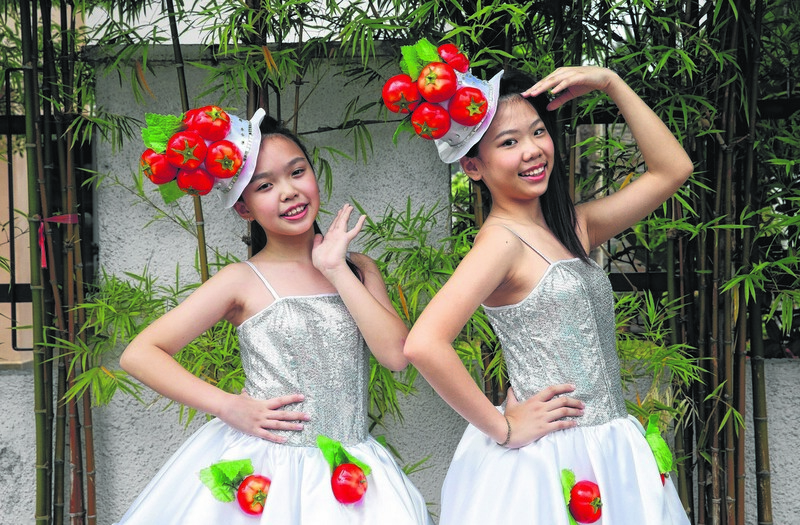 Singing along with Xin Hui was her sister, Toh En Hui, 13, who has two years' experience. 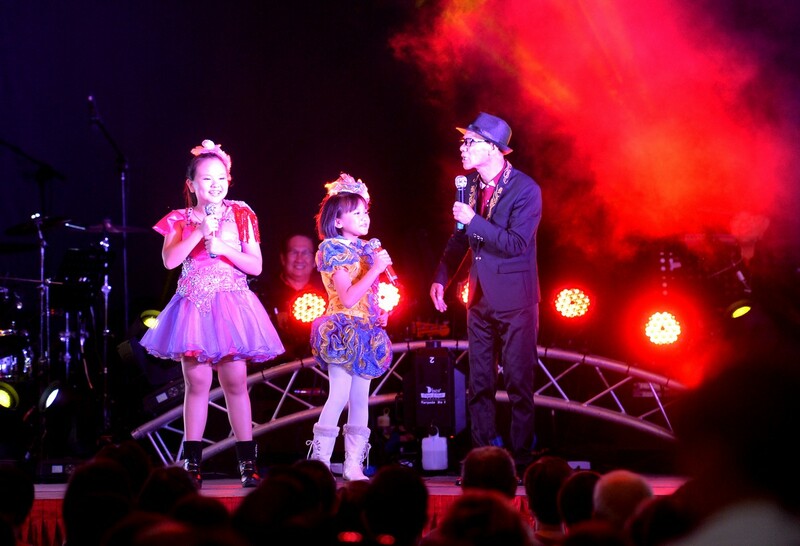 If the performers seem to be getting younger, it is because getai no longer appeals only to the older generation, said organiser Aaron Tan. He said: "There are even groupies who chase after some of the singers, much like pop music fans." Other than the Toh sisters, he has groomed three other girls who also made their debuts this year: Jayner Teh Qiao Er, 15, Jasrene Choo Jia Yi, 12, and Belle Tan Ge Wee, 14. 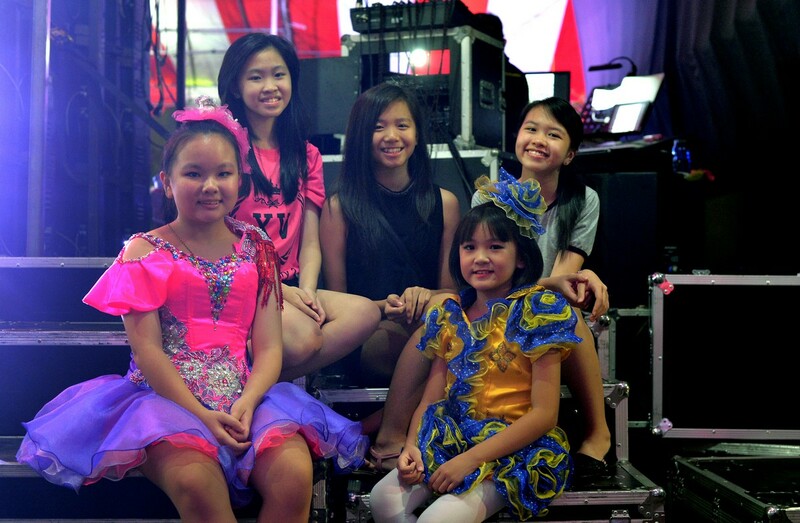 Mr Wang is working to prepare the five girls as the next generation of getai singers. "After another five, 10 years, the stamina of the older singers will decline, so we need to find a group of youngsters to take their place," he said. He said it takes at least a year to get new getai performers ready for the stage, including the most difficult part of training: teaching them to sing in dialect. She has started the Hungry Ghost month with 30 bookings and that looks set to increase. Last year, she had about 80 bookings. Miss Law, 22, explains in English: "I have more hosting gigs this year because of SG50 celebrations." Other than getai, Miss Law also hosts or sings at weddings, corporate events and community centre shows. 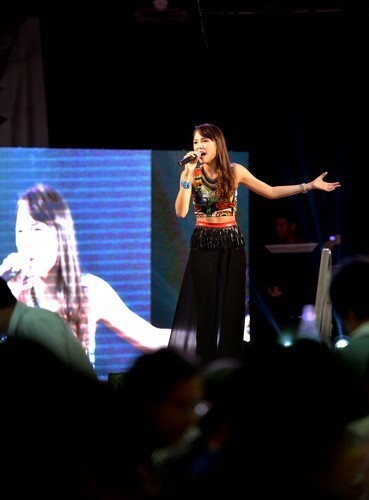 She attributes her rising popularity to the GeTai Challenge, a TV singing contest for getai performers. The programme aired weekly from May 25 and ended last Monday. She says: "People have a very different impression of getai now. They tend to see us as more professional. 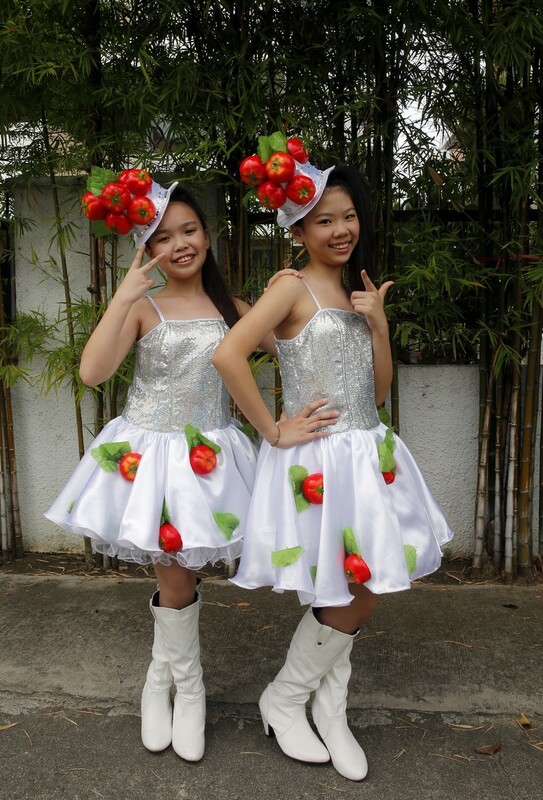 After the Channel 8 variety show, many people have changed their minds about the getai industry." Miss Law says the audience used to be mostly made up of the older generation. But since the TV show, she has noticed a younger crowd. "Now I have younger fans, who come just for me," says Miss Law. 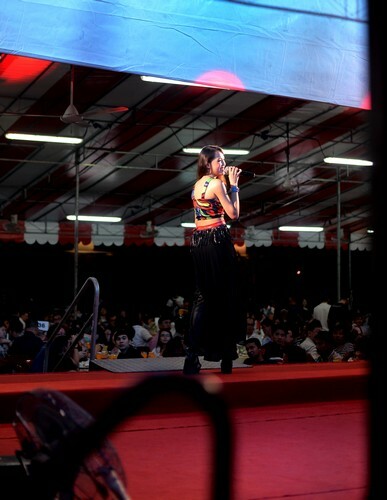 At a getai show at Sin Ming Lane on Wednesday where she performed, fans were seen holding placards with lights spelling out Miss Law's name in English and Chinese. Miss Law, who won one of the 10 Most Popular Getai Artiste awards last year and the year before, has also received requests to appear in gigs in JB, though she turned them down. Young, energetic and bilingual, Miss Law is more popular as a host than as a singer, says Mr Aaron Tan, Singapore's most prolific getai organiser. Describing her first few stage experiences, she says: "It was really stressful. I wasn't sure what I could or could not say, so I was very quiet. The host was quite angry with me." Miss Law charges more than $100 per gig, and she can earn up to $10,000 during the month, not inclusive of red packets. Mr Tan says that getai artists can usually earn $6,000 to $10,000, before deducting expenses like transportation and costumes. Last year, Ms Law opened a hongbao to find not cash, but "hell notes" and a $1 coin. Recalling the incident, Miss Law says: "I was so freaked out that I didn't dare to take the $1 coin. I donated it to the McDonalds' donation box." 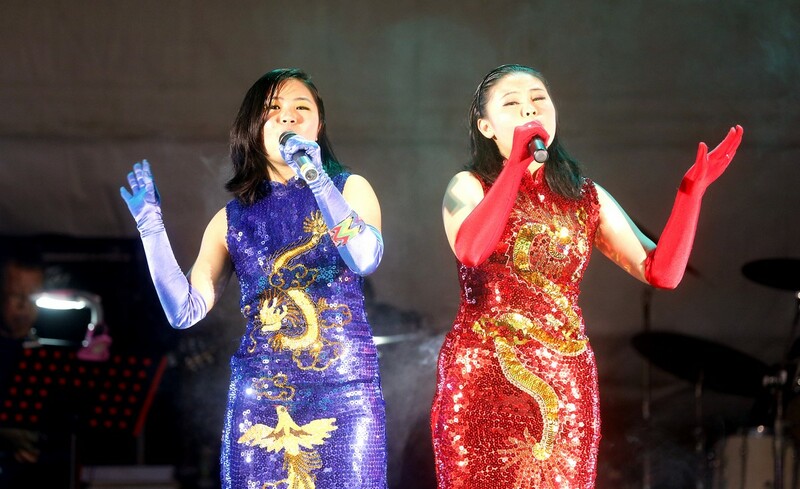 Click on to read more about why Malaysian getai singers are flocking to Singapore. 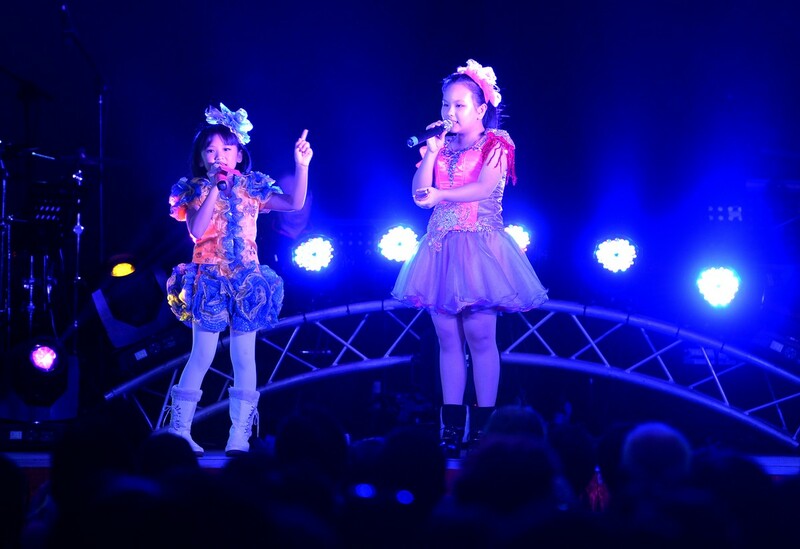 Malaysian acts have long been familiar sights in local getai. But with the ringgit at a record low against the Singdollar, more Malaysians are crossing the Causeway to take advantage of the stronger Singapore currency. 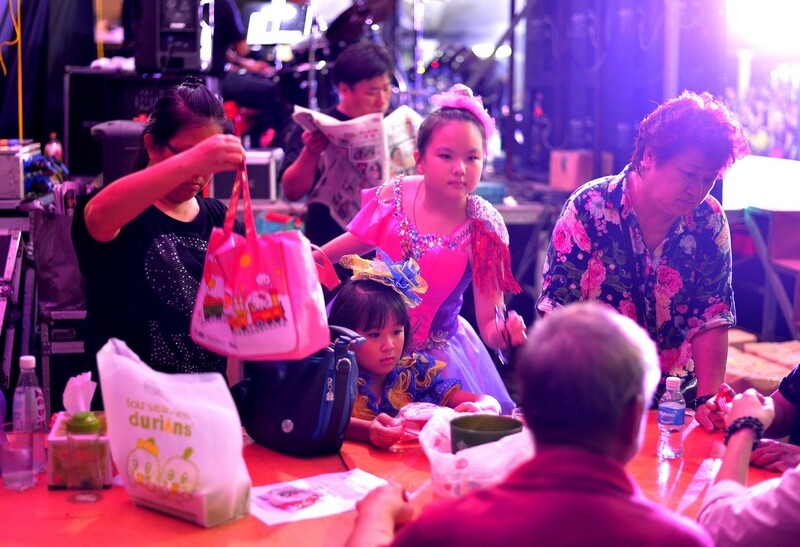 Veteran local getai organiser Peter Loh, 64, estimates there is a 30 per cent increase in the number of Malaysians coming here. 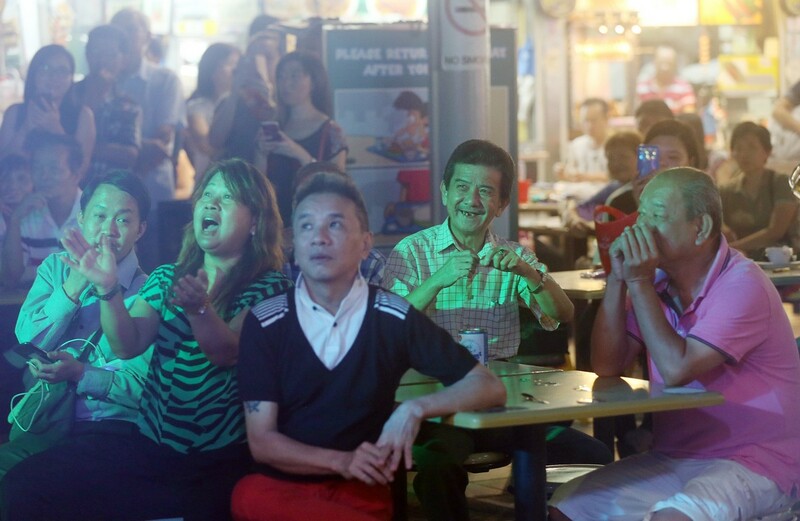 "Malaysian performers do whatever they can to make their shows more exciting - from spending more money on costumes to changing their act," says the man who has been organising getai concerts for more than 40 years. "Singaporean performers are very sui bian (lackadaisical in Mandarin) in comparison." In the weeks leading up to the getai season, he received many phone calls and social media messages from aspiring Malaysian singers hoping to be booked for jobs here. "If Malaysian getai singers cost me less money but can deliver equally or even more entertaining shows, then why wouldn't I choose to hire them?" Mr Loh says. On average, a Malaysian getai singer is paid $80 to $100 to sing three songs here. That is more than the RM180 to RM200 (S$60 to S$67) they would make back home to cover six songs. Besides the better money, foreign getai singers also face little red tape from the authorities. They are not required to apply for a work pass to work here while on their social visit pass, which is subject to a maximum period of 60 days. 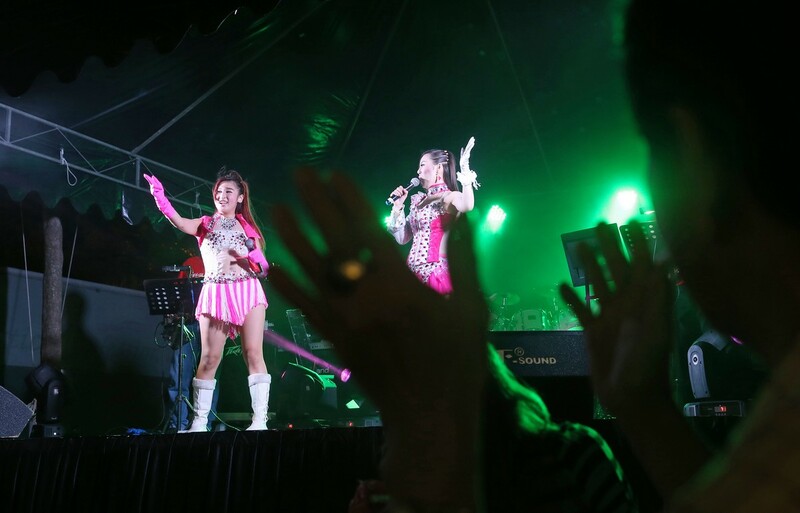 Across the Causeway, the weak ringgit has caused major headaches for getai organisers as well. A getai organiser based in Johor Baru laments that 70 per cent of his usual roster of singers have been lured to Singapore to perform. Rising Malaysian getai singer- dancer Sun Cola, 18, for example, leaves her house in Johor Baru by 4pm to get to a 7.30pm show in Singapore. Her mother drives her here and the performer tries to squeeze in two shows a night in Singapore. If time allows, they drive back to Malaysia for her to pull off a final performance for the night. Malaysia's Sun Cola has boosted her act this year by incorporating complex aerial hoop dances, on top of her signature belly dancing routines. In Singapore, some local getai organisers are sticking to hiring as many home-grown singers as possible, even if they can save money by having their pick of Malaysian stars. Mr Zhu, who runs a getai production company, says: "Singaporeans tend to be more conservative - maybe because they are on home ground, so they are afraid that they would be seen and judged by their friends or family." Miss Law says the audience used to be mostly made up of the older generation. But since the TV show, she has noticed a younger crowd. "Now I have younger fans, who come just for me," says Miss Law. She also had bit roles in several local movies, such as Ah Boys To Men, in which she played IP Man's girlfriend Mayoki. The number of her Instagram followers doubled after the show, she noted, to more than 4,300. Miss Law, who won one of the 10 Most Popular Getai Artiste awards last year and the year before, has also received requests to appear in gigs in Johor Baru, though she turned them down. She says: "I don't do JB gigs yet. My mum is not comfortable with me travelling there." It is a far cry from when Miss Law started getai singing five years ago at the age of 17. She reveals: "A lot of people looked down on me when I started out. "I got bad comments. They would say things like, 'You will never get famous. Don't waste your time'." Describing her first few stage experiences, she says: "It was really stressful. I wasn't sure what I could or could not say, so I was very quiet. The host was quite angry with me. "Emcees are a bit irritated with singers who can't chat. They will shorten the interaction time, as it's not so engaging. 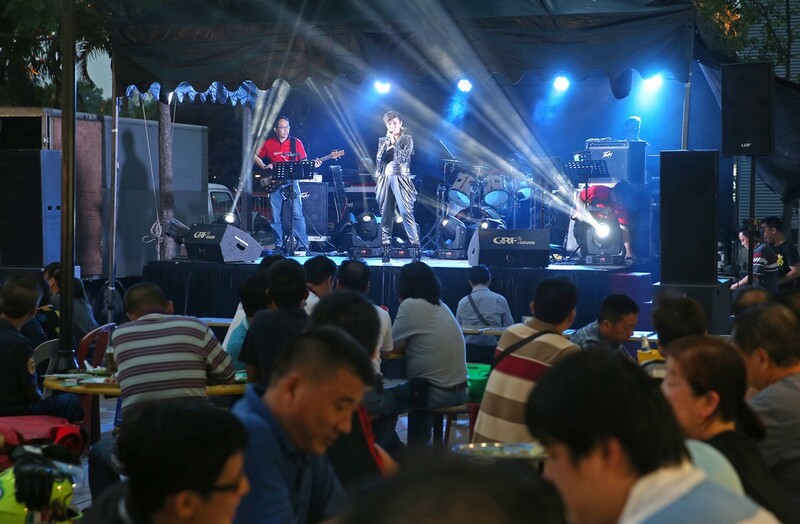 Getai is all about entertaining." Miss Law charges more than $100 per gig, and she can earn up to $10,000 during the month, not inclusive of red packets. Mr Tan says that getai artists can usually earn $6,000 to $10,000, before deducting expenses like transportation and costumes.